This is a sculpting tool that I've been developing since early December 2009. Its main feature is dynamic mesh tesselation that will provide additional detail where necessary, without the user needing to worry about it. While I was developing it as a hobby project, it reached a version 1.0 in the summer of 2010. Since then, it has been adopted by Pixologic and is currently at version Alpha 6. 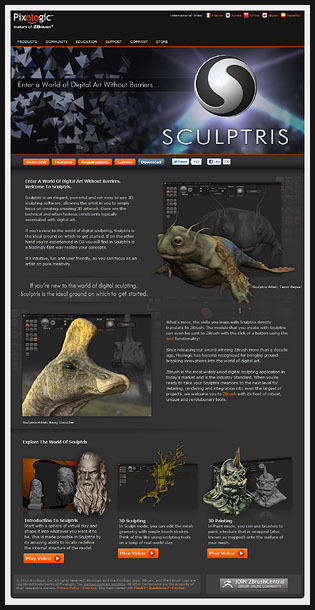 For more information, I recommend that you visit the official Sculptris page.